A vibrant capital, Madrid’s old world charm and cosmopolitan nature blend perfectly for an unforgettable city escape. 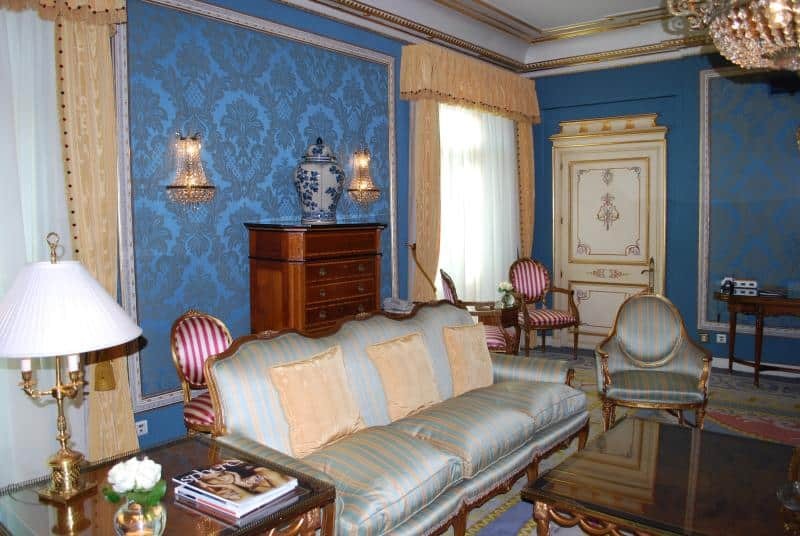 But where to stay in Madrid for similarly charming accommodation? 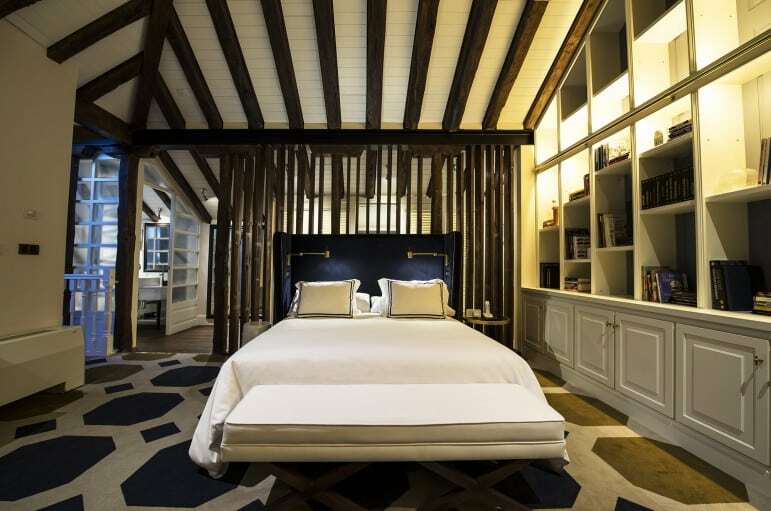 Read on for the lowdown on luxury places to stay in Madrid. Madrid is home to some of the grandest and most beautiful of buildings in Spain. Many have been converted into hotels so deciding where to stay in Madrid will sometimes be a question of which building appeals to you more. From affordable stays for those seeking a taste of luxury living, to the highest grades of grandeur, this is a city with it all. And with a fantastic food, culture, history and art scene, you won’t be short of things to do in Spain’s capital. You can find some inspiration in our guide to places to go in Madrid. Compare flight prices to Madrid now. 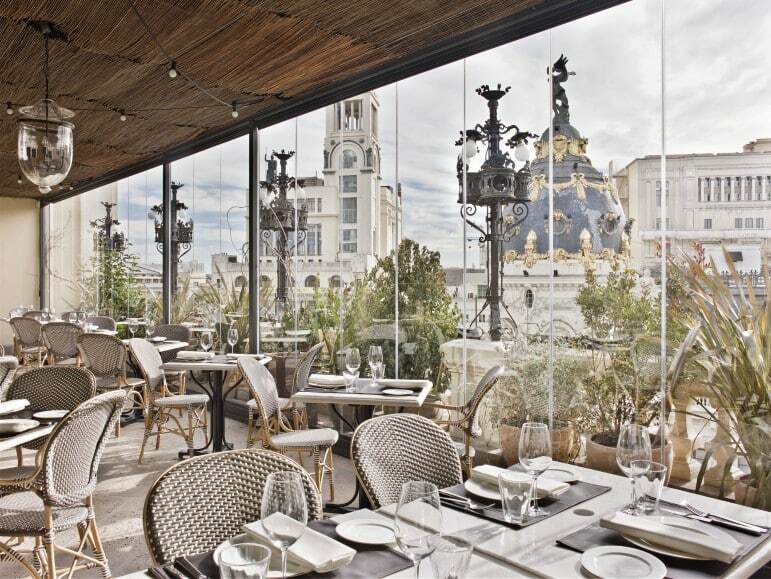 A perfect base in the heart of Madrid, this five-star hotel affords the best views of the city from its rooftop terrace. Rooms have been carefully designed and furnished, with high ceilings and large windows for spacious and light surroundings. With a Bluetooth sound system, games console and a DVD/music library in every room – you would undoubtedly struggle dividing time between chilling out in your hotel room and exploring the city. When you do decide to emerge from your room, Ático restaurant serves guests with avant-garde cuisine, classic cocktails and mesmerising views of the city which make it one of the most unforgettable places to stay in Madrid. Rooms from £123. 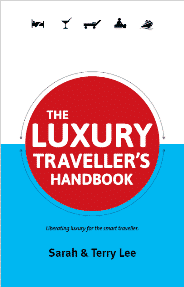 Click to book, check prices and availability at The Principal Hotel. Situated on the Plaza de Colón, the Gran Meliá Fénix is a member of The Leading Hotels of the World and has hosted many notable guests over the years including The Beatles and Cary Grant. The hotel is home to the city’s leading cocktail bar, and rather unique is its tea corner with more than 45 varieties of fragrant leaves. It’s safe to say fans of dry martinis or darjeeling, will be well looked after here. With graceful décor emanating from the 1950s era, including luxury fabric-lined walls and elegant writing desks, a stay in Madrid could not get much more extravagant. Rooms from £155. Click to book, check prices and availability at the Gran Meliá Fénix. Combining neo-classical elegance with fresh and neutral interiors, the URSO Hotel & Spa gives guests a unique take on where to stay in Madrid. Coffee lovers should waste no time in making full use of the Nespresso machine in each room, and with a daily turn-down service and private bar, you will certainly be well cared for while in residence. 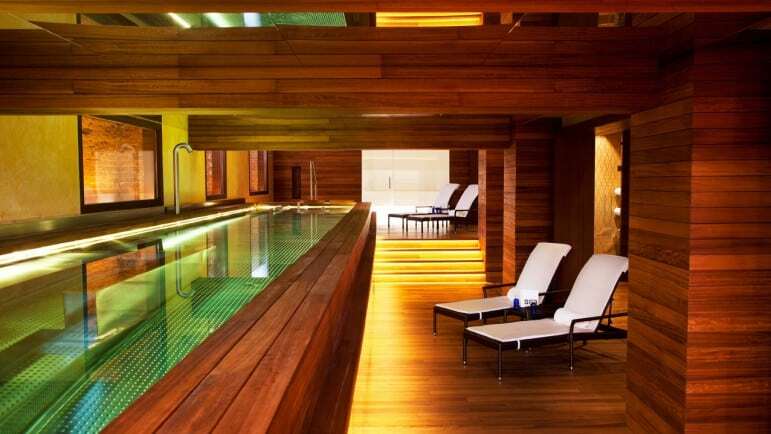 Housing Madrid’s first branded luxury spa, URSO Spa By Natura Bissé is an intimate hideaway on the lower ground floor. As a guest you can relax with the ultimate spa retreat enjoying anything from a dip in the hydrotherapy pool to a treatment from the indulgent spa menu. Rooms from £112. Click to book, check prices and availability at the Urso Hotel & Spa. 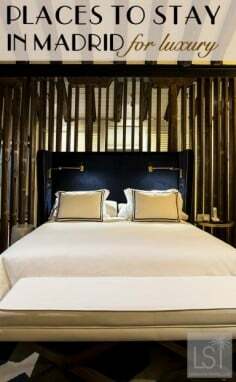 With 96 contemporary styled rooms including subtle leather accents, dark woods and subtle lighting; this designer Urban Hotel Madrid is a classic. There are a number of restaurants and bars on-site to tempt, from cocktails on the terrace to oysters in the Glass Bar. Combined with the hotel’s very own Egyptian museum, the Urban Hotel Madrid is an enchanting escape from the ordinary. Rooms from £105. Click to book, check prices and availability at the Urban Hotel Madrid. Winner in the World Boutique Awards 2015, guests are in for a treat at the Only You Hotel & Lounge. A former palace, each area in the hotel presents as an eccentric piece of art. The charming colonial yet modern rooms mixed with personalised service provide an exceptional experience. Meanwhile the Blue Lounge and elegant cocktail bar are hotspots for fun and relaxation, with music creating the perfect atmosphere to match the time of day. Rooms from £105. Click to book, check prices and availability at the Only You Hotel & Lounge. The heart of the Vincci experience is in providing guests with luxury moments and features to deliver a memorable stay. Made up of five historical buildings, and only steps from the renowned ‘Art Triangle’, the modern hotel features 169 rooms, which are lavishly designed and a work of art in themselves. Rooms from £253. Click to book, check prices and availability at the Vincci Soho. 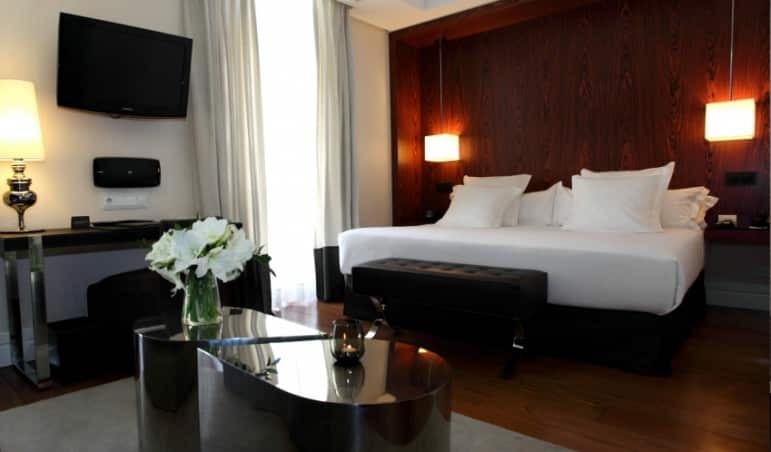 A smart and chic option which will not disappoint, Hotel Único Madrid is located on Madrid’s Golden Mile. With regal architecture and avant-garde design, it is a very stately affair. Located in the upscale district of Salamanca, the hotel’s wellness suite provides an urban oasis, while the two Michelin-star restaurant is a luxurious gastro experience, to ignite all your senses during your stay. Rooms from £185. Click to book, check prices and availability at the Hotel Unico Madrid. For more space to relax, the Luxury Suites Madrid is a comfortable fit. Located on the main street of Calle de Alcalá, the suites offer balcony views and feature parquet flooring to evoke a feeling of grandeur and opulence. Rooms feature a full kitchen, however there is a bar and restaurant in the main hotel if you are not in the mood for rustling something up yourself. Suites from £100. 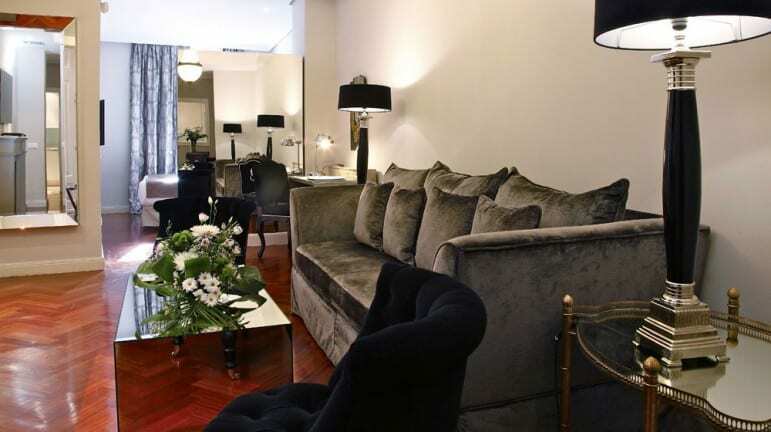 Click to book, check prices and availability at the Luxury Suites Madrid. Enjoy a peaceful sanctuary away from the hustle of Madrid and check-in at the Westin. With over a century in the city, the hotel continues to deliver its legendary service and has a lovely atmosphere for guests. With soft tones and natural light, the Westin provides revitalising comfort to ensure you are well rested and ready for a day exploring the city. The Sunday Opera Brunch in the hotel’s La Rotunda is considered the best in town, not least because of its beautiful surroundings. Meanwhile the 1912 Museo Bar has been frequented by many world-famous icons including Ernest Hemingway and Salvador Dali. As popular now as it was then, the bar is reminiscent of an English gentleman’s club. Rooms from £175. Click to book, check prices and availability at the Westin Palace Madrid. 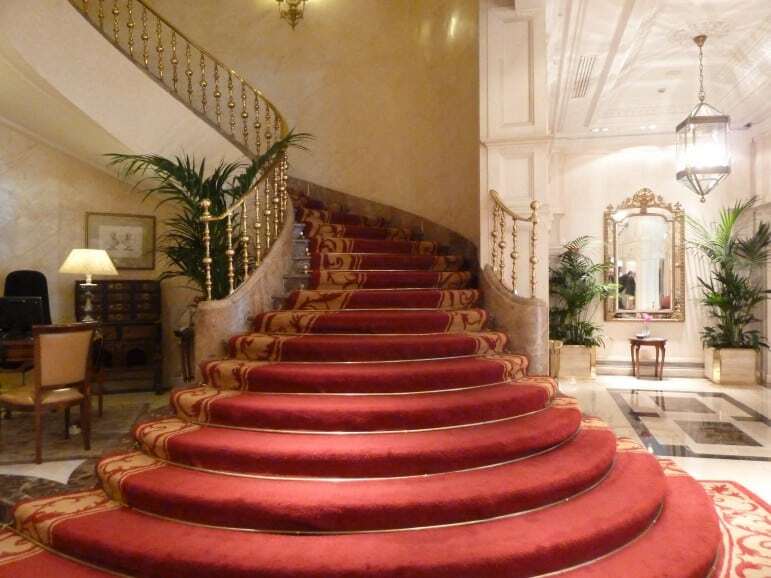 Madrid’s Hotel Ritz could not be any more opulent. A belle époque palace with luxurious interiors fit for royalty, everything about the experience feels exclusive here. Bathrooms are fitted with marble and gold, while the famous restaurant Goya, has earned itself many an accolade for its fine dining offering. Rooms from £195. 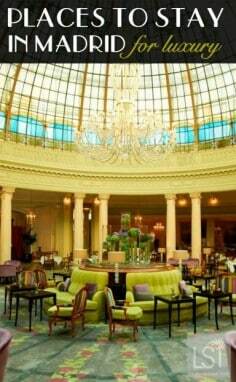 Click to book, check prices and availability at the Hotel Ritz Madrid. A boutique and affordable option in the city, the H10 is a welcoming escape with personalised service and superb interior design. Carefully restored to its 20th century glory along with some more modern touches, maximum comfort and enjoyment will round off your stay here. Rooms from £85. Click to book, check prices and availability at the H10 Villa de la Reina. Art and culture have a notable presence both inside and outside of this hotel. A fine display of innovative design, the hotel was intentionally built to provide incredible views from all of its rooms and suites. A good night’s sleep is in order with a pillow menu and features in the room are operated using a remote control in the headboard – all for the ultimate ease and relaxation. Rooms from £92. 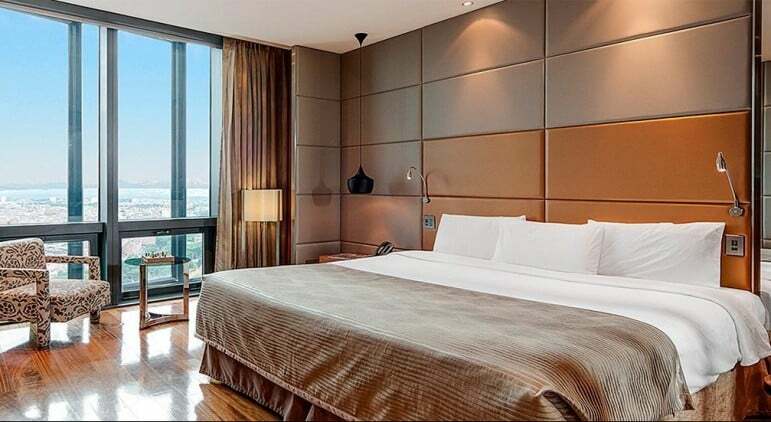 Click to book, check prices and availability at the Eurostars Madrid Tower. Hesperia Madrid – a stylish hotel with soothing interiors and fantastic food options including two Michelin-star Santceloni. Room Mate Mario – an affordable hotel which brings its own unique brand of design, focussed on minimalist style. 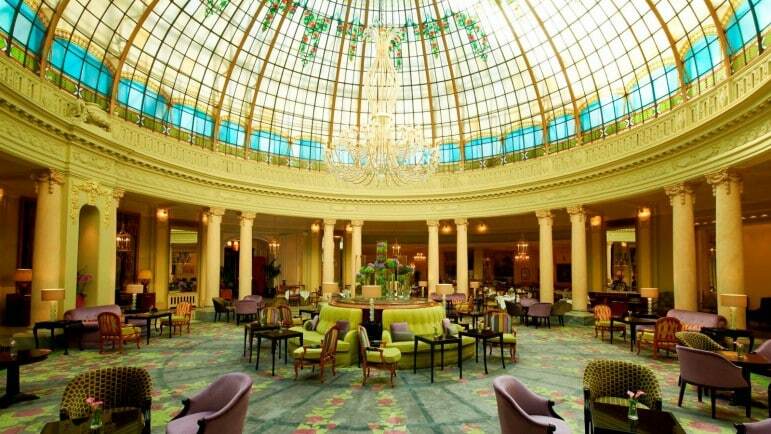 InterContinental Madrid – an upscale hotel inspired by an 18th-century palace. AC Palacio del Retiro – a discreet luxury hotel overlooking the beautiful Retiro Park. Wellington Hotel Madrid – multiple dining options, a trendy bar as well as an outdoor pool and hot tub exemplify this hotel. Hotel Abalú – a contemporary property with sleek features, junior suites include an in-room spa and cinema. 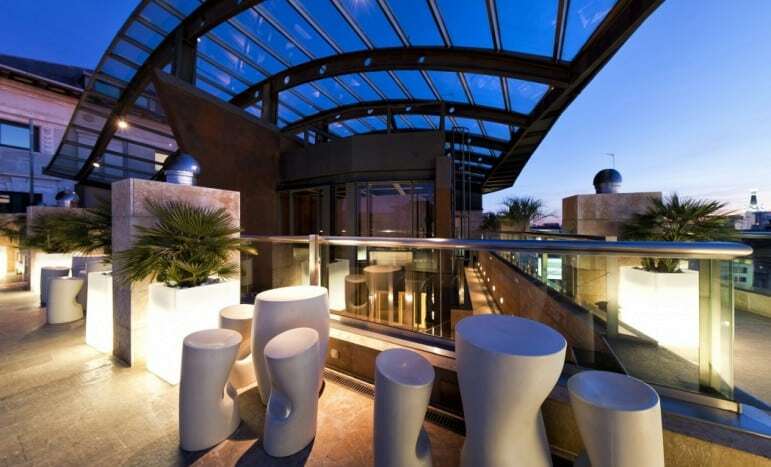 Radisson Blu Hotel Madrid Prado – a fairytale castle exterior with modern, boutique interiors.